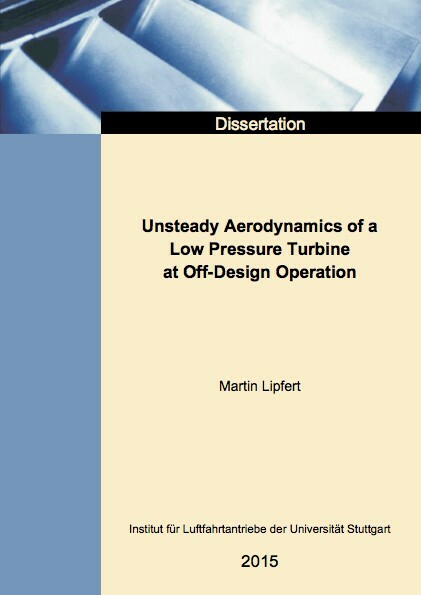 Understanding the unsteady aerodynamic loading is important for the development of lightweight and quiet low pressure turbines. In industrial applications semi-empirical 2D-models are still state of the art to predict the effect of unsteady airfoil loading. However, 3D unsteady RANS simulations have gained in performance and have been shown to be superior to the semi-empirical approaches. Therefore, the application of the numerical prediction is inevitable for detailed assessment of the flow regime. However, a set of sophisticated experimental data is necessary to validate the numerically predicted flow field. With the Advanced Turbine Research Demonstrator (ATRD) rig, operated in the Altitude Test Facility (ATF) of the Institute of Aircraft Propulsion Systems at the University of Stuttgart, the flow field at various operating points can be examined. The two-stage low pressure turbine has been designed by MTU Aero Engines to measure the flow field in detail for engine representative operating conditions. In the present work the aerodynamic design point at a Reynolds number operation of 75,000 is compared to an off-design point at identical Reynolds number with strong positive incidence on the second NGV row. The focus of the analysis is set on the time-resolved flow field of the second NGV. Measurements of the surface pressures and the boundary layer flow as well as the inlet and exit velocity field were performed for the midspan streamline. The experimental data is used to validate unsteady numerical predictions, allowing for deeper insight into the flow field.